Hit the tuning fork, it's time to sing! Field's a cappella group hosted Drew University's co-ed a cappella group AOTA (All of the Above) last week, and, well, they sounded amazing. AOTA members taught Field a cappella singers a new song—their own arrangement of "The Mother We Share" by Scottish synth-pop-indie band CHVRCHES. The Field singers so impressed AOTA with their ability to learn the new music that they jokingly offered them all spots in the group! A cappella teacher Destini Collins, who arranged the visit, also reserved some time at the end for students to ask questions about singing college a cappella—or just college in general. 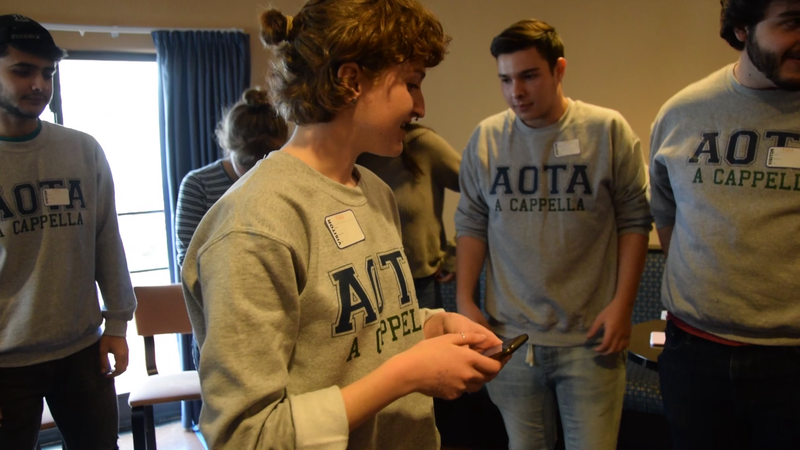 Check out the video to hear the sweet sounds AOTA and Field a cappella created together!